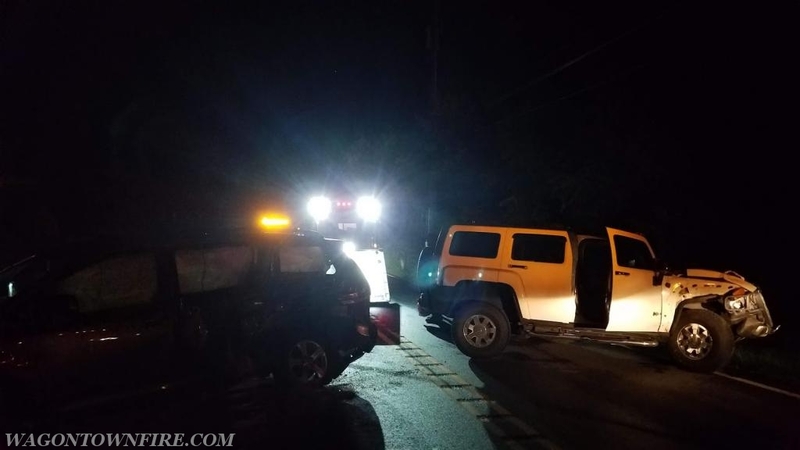 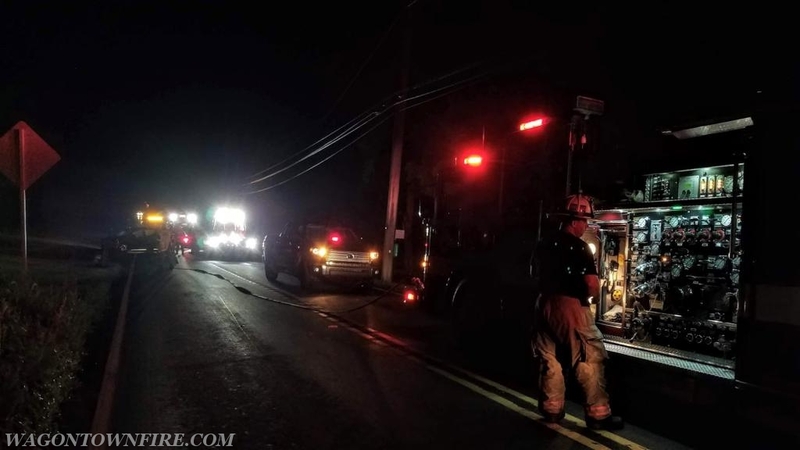 On Saturday night at 22:29 Hours the Company was dispatched along with fire police to the 1100 Block of W. Kings Highway where the West Caln Police were on the scene of a vehicle accident with no injuries. 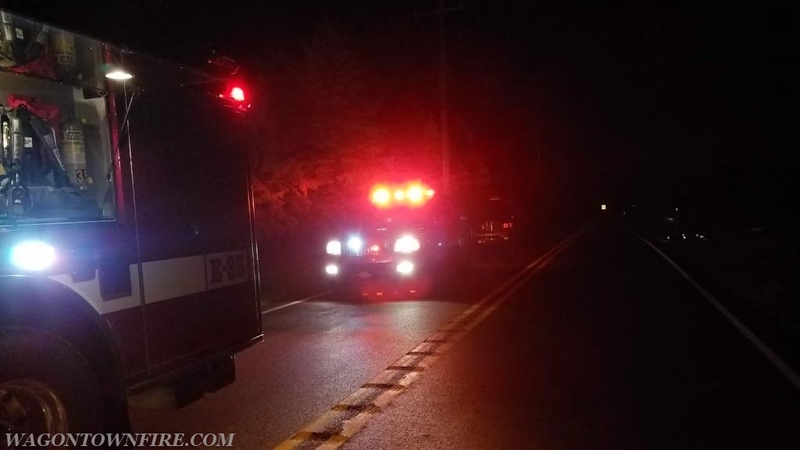 The incident resulted in one of the involved vehicles leaking a good amount of gasoline so we were dispatched to assist with the fluid control. 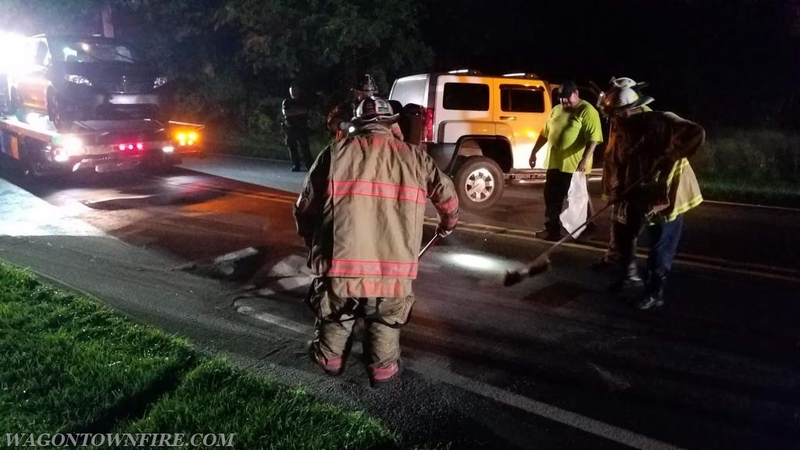 Engine and Tac 35 made the response and assisted Flings towing with the control and clean up of the spilled fluids and fire police controlled traffic around the accident scene. 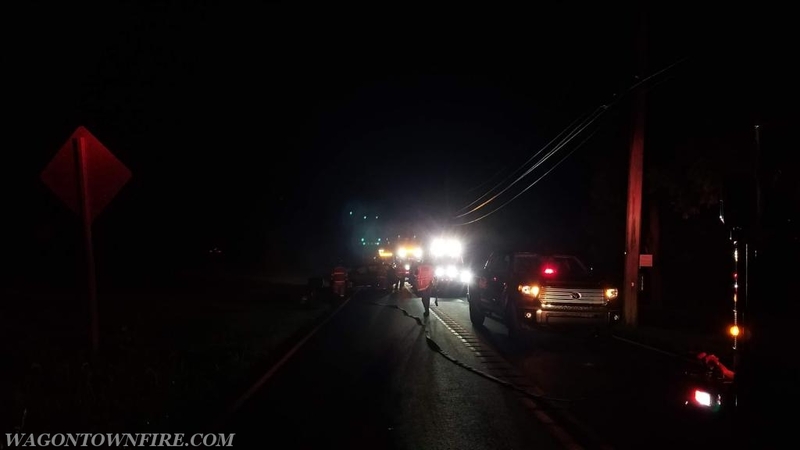 Once cleared up the company went available at 23:00 hours. 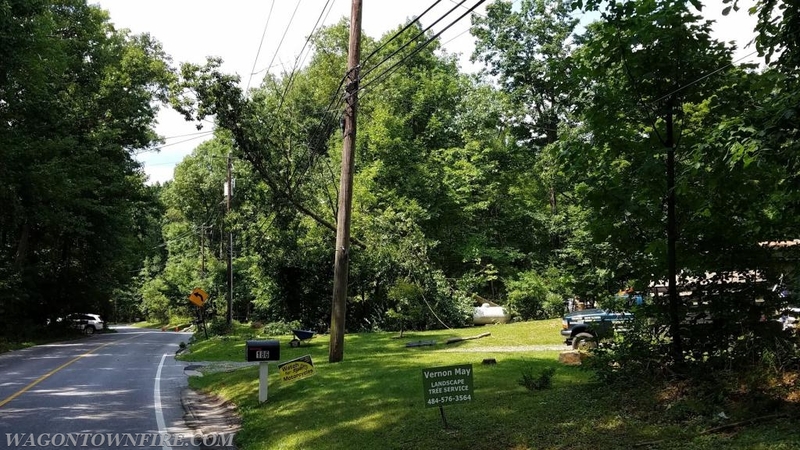 Then today at 14:25 hours the company was dispatched for wires in the 100 block of Cambridge Rd where a tree had fallen on power lines. 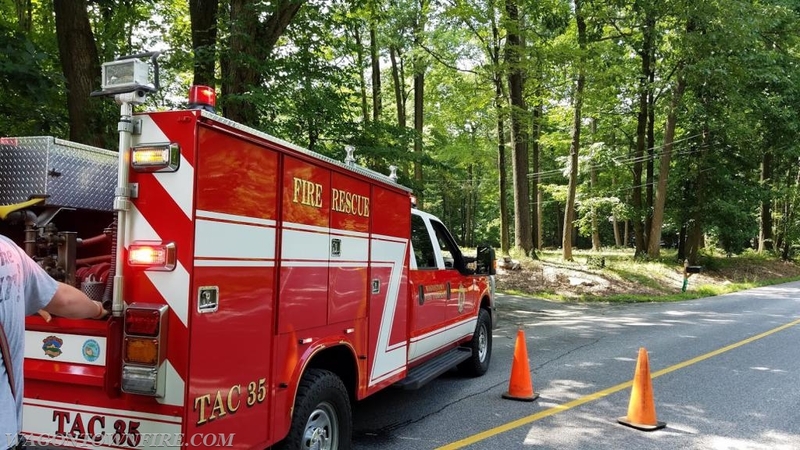 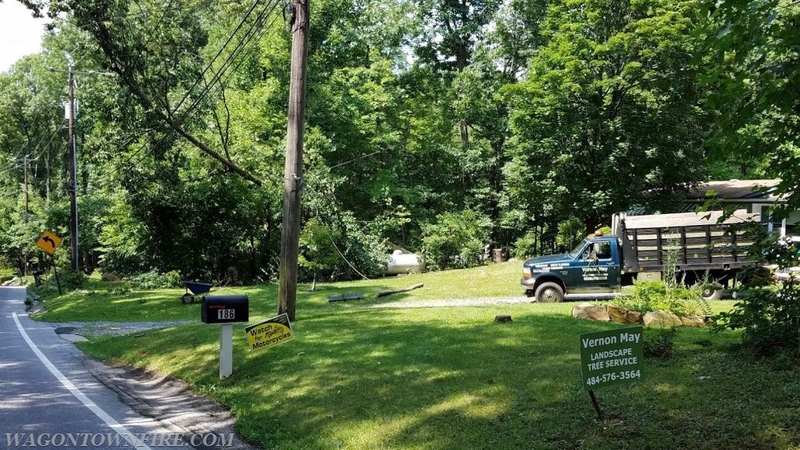 Tac 35 responded and found a tree into the wires and notified PECO to respond while fire police and eventually West Caln Township closed the roadway until the tree could be removed and power restored to the area.